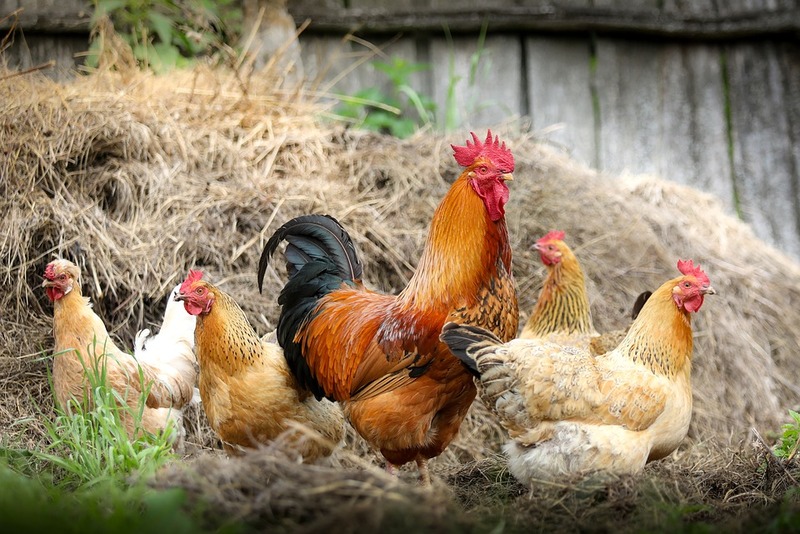 How to make chicken mix at home: Tired of buying expensive chicken feed, a poultry farmer has decided to come up with their own rich and affordable chicken mix. Jeremiah Namunyu, an agronomist from Marinda village, Matungu constituency, have come up with a cheap and affordable diet for their chickens. “I mix maize, seed cotton cake and sunflower which I grind using a machine. I grind food for two weeks and I ensure it has all the nutrients. It contains supplements just like the commercial chicken feed sold in the market,’’ the farmer explains. Namunyu also sells the Nam Agri feeds to farmers in Kakamega County. The farmer who has 3,700 layers, began the project three years ago when he had 500 layers. “Chicken feed is expensive and cuts into a farmer’s profits. I had spent so much money; I had to come up with a cheaper option.” The last three months, Namunyu made a profit of Sh1.5 million from selling the feed and chicken. He supplies all major chicken centres in Mumias, Bungoma and Kakamega towns whose demand for kienyeji variety tops the menu. On a good day, the couple sells up to 500 cockerels. He has employed two farm hands. Additionally, at night, the farm is also guarded by a security firm. He plans to change from keeping layers to traditional chicken because of high demand. “Poultry farming requires little land hence complements the existing sugarcane farming system,’’ he says. Currently, he has 1,500 layers but plans to sell them all and buy kienyeji breeds. He buys one day old cockerels at Kenchic in Eldoret at Sh30 each. He breeds and sells the birds at Sh450-500 when they are four months. Namunyu, says most farmers are afraid to take care of the one day old chicks because they need close attention and proper feeding. “I am shifting to kienyeji chicken. It has a big market demand at the moment. In every eatery nowadays, you must find roasted kienyeji,’’ he says. To ensure that the day old cockerels have an eco-friendly environment, he has installed solar lightening system. In the next one year he targets to have 10,000 birds in his four-acre farm to meet the market demand. 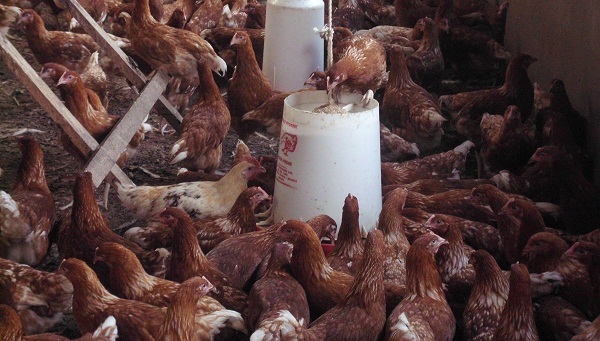 The secret in chicken farming lies in feeding strategy. “The kienyeji chicken eat a lot. A farmer needs to be wise and strategic in feeding. Feeds in the market have fewer nutrients, a farmer must be smart and ensure he gives a balanced diet,’’ he notes. He adds: “Chicken farming is convenient and easy. A farmer can easily detect if there is a problem. One must have trust worthy workers to ensure they are well maintained and fed. I am not always here as I work in town but as a supervisor of the farm I ensure everything is in order,’’ says the agronomist who works at Mumias Sugar Company. The droppings from the chicken are preserved in a 10 metre deep fleapit and left to decompose. The organic fertiliser also earns him a tidy income. Every week he collects one tonne which goes for Sh 5,000. “The future is white meat that is why I resorted to kienyeji chicken rearing. Red meat will be more expensive in future because of diminishing supply and some people are avoiding eating it on health grounds,’’ says Namunyu. His major challenge with such a farming activity has been diseases. With his profession background in agronomy (the science and technology of producing and using plants for food) he not only rears chicken in his farm but has also ventured into tissue culture banana, horticulture and formulation of organic manure in his farm. Namunyu plans of merging all poultry farmers in the region and approach the county government of Kakamega to set them a chicken meat processing firm where they will sell their produce. Where do you source for the cotton seed and sunflower? And at how much per kg? kindly furnish me with contacts of jeremiah namunyu a poultry farmer from marinda village matungu constituency .pse refer tobiznz report of 17. 08 .2018.